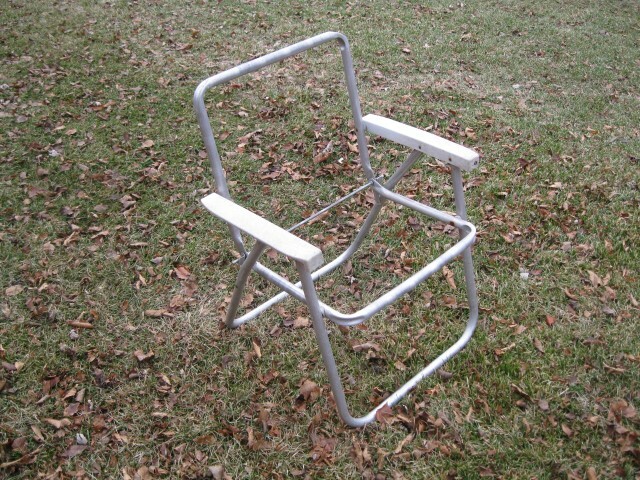 What does an old lawn chair have to do with Amateur Radio? 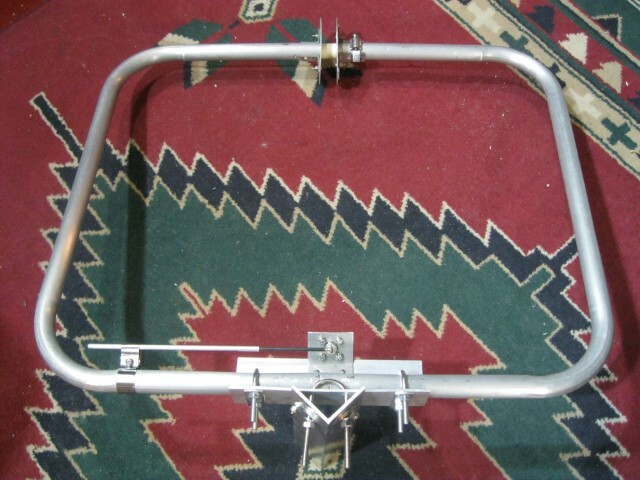 Now that I have a 6m rig I need to build an antenna to operate on this band. 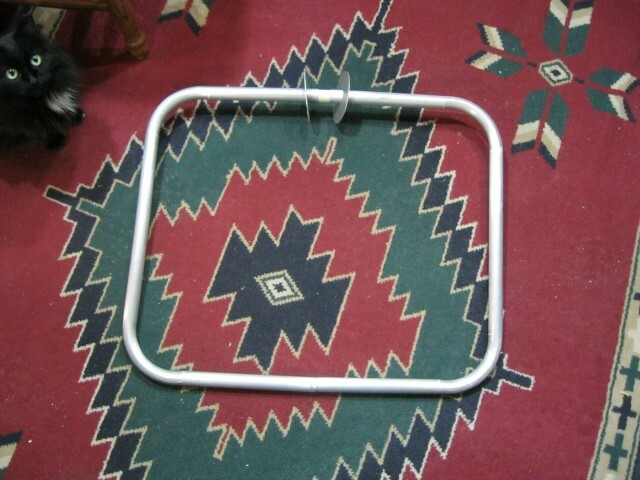 I was wavering between a Moxon and a Squalo and after a discussion on the ORC club net last week which included Tom, W9IPR donating an old lawn chair I decided that I’d build a Squalo. 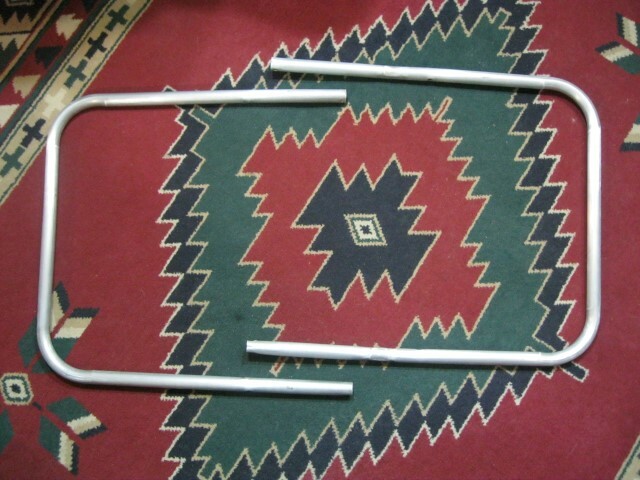 Six Meters from your Easy Chair” in which W9SR described the construction of a 6 meter antenna using the aluminum tubing of a lawn chair. 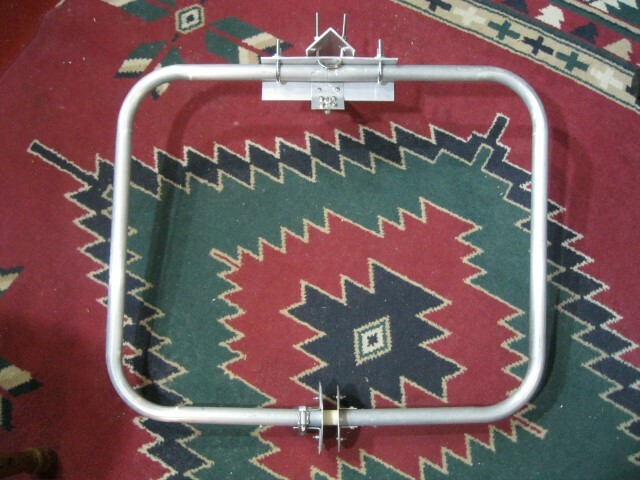 It turns out that the size and shape of the frame of the chair is perfect for building an omni-directional square-loop or “Squalo” antenna. I used a piece of aluminum angle stock (1/8″ x 2″) for the mounting bracket and made a mounting plate for the SO-239 out of a piece of 0.060 aluminum bent so as to position the Gamma match 1″ from the element. Since it was late at night and raining outside when I finished construction I suspended the antenna from the ceiling of my radio shack and hooked up the antenna analyzer and it actually works! Resonant at the bottom of the band! It’s resonant in the band! After the construction was complete and a quick check with the antenna analyzer it was time to mount it outside. 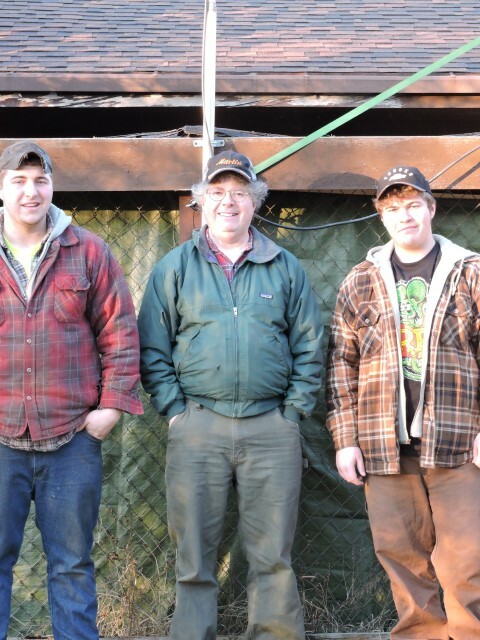 It was an unseasonably warm winter day (44 deg F) so my younger son Ben and I worked on the installation. The first mounting was on the mast that supports my 10m vertical. This placed the antenna at about 9 feet. Not at all optimal but it’s what I had for the time being with the intent to improve the mount in the spring. Testing at the initial position with Tom, W9IPR and Jim, K9QLP resulted in marginal performance. Both sideband and FM were sub-optimal. After checking over the installation and further testing with the antenna analyzer, including using a different transmission line I decided that height was the major factor in the poor performance. This probably isn’t a big surprise as height, height, and more height are the primary requirements for the best operation at VHF frequencies. So I decided that some improvement in height couldn’t wait until spring. 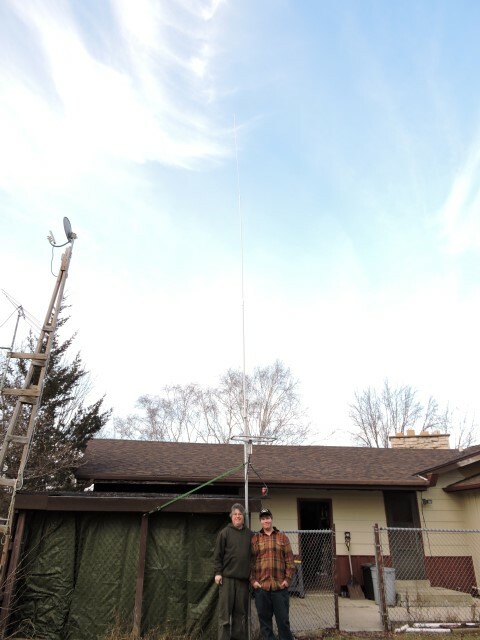 Even though the weather was getting cooler (28 deg F) we needed to get the antenna higher in order to improve its performance. My older son, Dominic (W9KKX) welded two chain link fence top rails together with reinforcement at the joint and the base with conduit. This gave us a mast of 21 feet. The new location provided greatly enhanced performance. 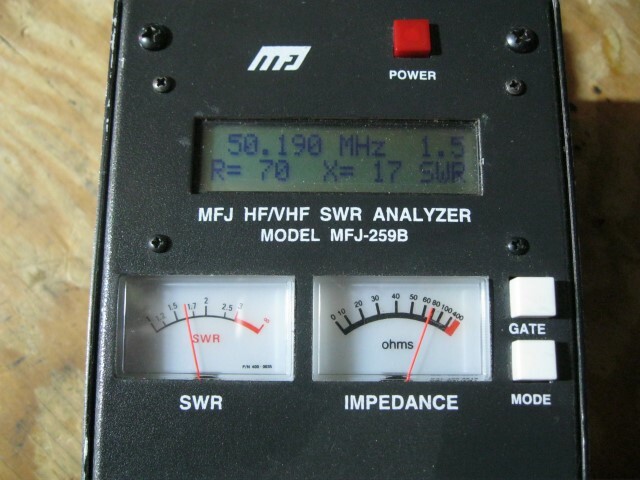 FM simplex is improved and I now can clearly get into the WERA 6m repeater (53.030\52.030 MHz) located in Milwaukee. Sideband performance is improved but still needs some more work. It’s very easy to move the desired center frequency by adjusting the capacitor plate. Closer together moves the frequency down and further apart moves the frequency up. This adjustment isn’t too touchy. The gamma match is touchy. 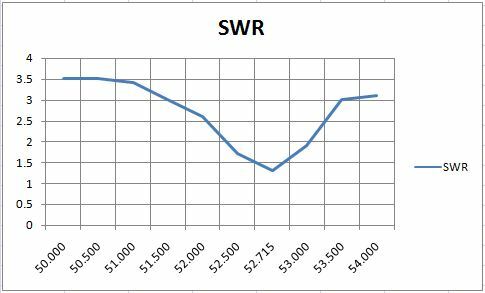 I was able to get the SWR down to around 1.2 to 1.3 at 52.715 MHz. This is good enough for now. Over the entire 4 MHz of the band the SWR is never above 3.5 so the LDG YT-100 that I use with my the FT-857D is able to quickly find a match across the entire band. I’d like to thank Tom, W9IPR for the lawn chair that started this project and both he and Jim, K9QLP for taking the time in the fine tradition of Amateur Radio to run some on-air tests with me as I worked out the installation. Six Meters from your Easy Chair” in which W9SR described the construction of the antenna I found an article from the July 1958 QST, “Beam Talk for the Layman” useful for some additional information on the gamma match. 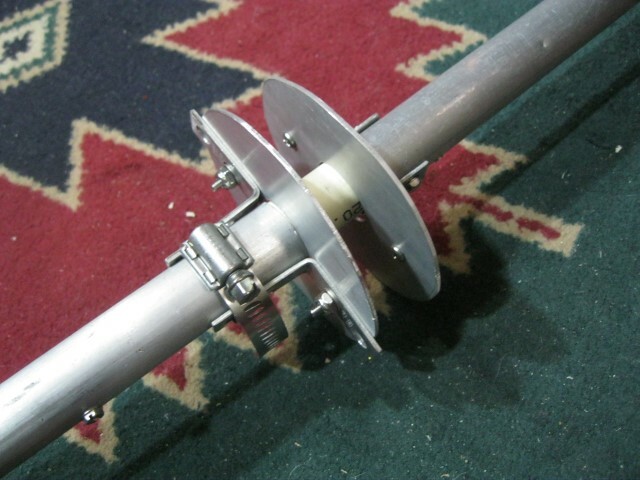 This was a fun and interesting project that resulted in my first 6m antenna. It’s not a super performer but it got me on the band and with a bit more work it will serve me well. UPDATE: Here’s a slightly different, perhaps more entertaining version of the story that I wrote for my radio clubs newsletter. 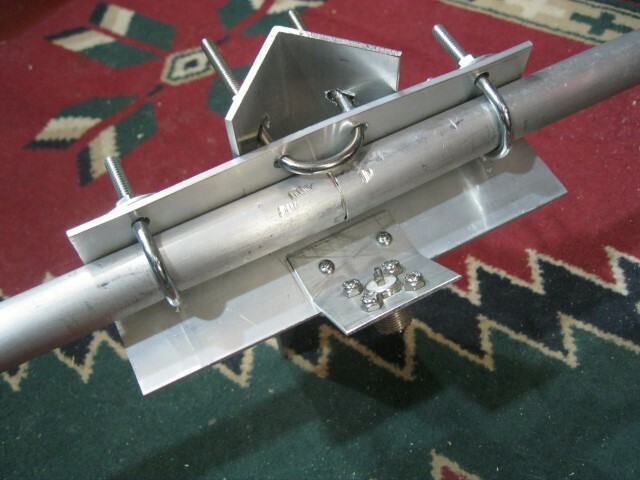 This entry was posted in Amateur Radio and tagged 6m antenna, Lawn Chair Antenna, Squalo. Bookmark the permalink. Excellent post Tim. I have experimented with a Halo Loop on 70cm for SOTA, small antenna fits in my jacket pocket. I can see myself with a new 6m antenna project in time for next summer Es. Thanks for sharing, 73 Andrew VK1AD.